Can someone please told me is it possible to remove click. Please look at the attachment. I am using AD7. Thank you. Quote Can someone please told me is it possible to remove click. Please look at the attachment. I am using AD7. Thank you. 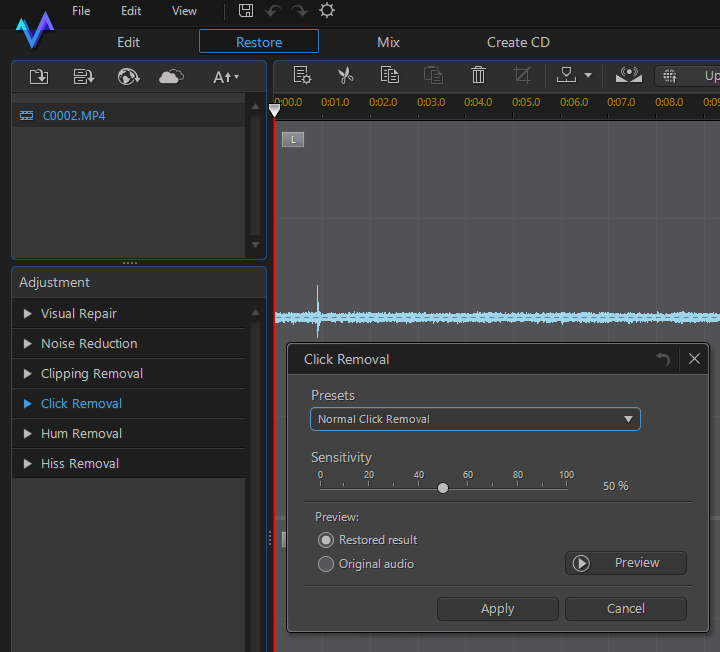 Try out the different settings and see if you can find the best one to remove the click without affecting the rest of the audio. The other way would be to manually lower the sound level either at that exact location or fading down and back up over a short period, depending on what the other sounds are like. You may even be able to find a matching section from elsewhere in the clip and mix that in to cover the fading section.